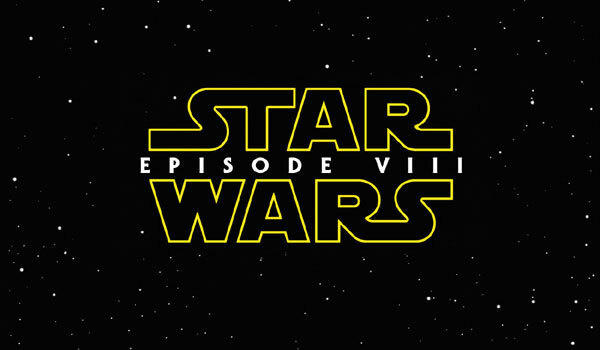 Is This The Title Of Star Wars: Episode VIII? Ah. If you thought that the Star Wars hype would ever calm down, think again. It might seem like only yesterday that we were speculating on the title of J.J. Abrams’ Star Wars episode, and now here we are, speculating on the title of director Rian Johnson’s follow-up, Star Wars: Episode VIII. While nothing is yet confirmed, the Internet is abuzz with speculation that a leaked video may have revealed the title. The video was posted to Reddit, supposedly by a member of the Star Wars Celebration staff, and purports to reveal the title of Star Wars: Episode VII. All it shows is a sign that is (again: reportedly) supposed to be revealed at the upcoming Star Wars Celebration, but according to the video, the title is…..Star Wars: Fall of the Resistance. Hm. It’s not bad, but it’s also not great. Then again, neither is The Empire Strikes Back or Return of the Jedi. As for what we can imply from it, it’s perhaps indicating the darker undertones of the next franchise installment, what with the Resistance falling and all (if the Han Solo thing wasn’t dark enough for you already). In any case, it’s a perfectly serviceable title to move forward with, if we are to believe leaked videos posted on Reddit. Star Wars: Episode VIII will soar into theaters on December 15, 2017. Tell us, are you a fan of the title, and what do you think it implies? Sound off below with your theories!